Dr Thielmann graduated from University of Duesseldorf, Germany in 1996 with a diploma in Chemistry. This was followed by a PhD in Physical Chemistry in 1998 in the area of materials characterisation. Frank then worked for a private materials testing institute in Hannover, Germany before joining Surface Measurement Systems UK (SMS) in 2000. He stayed with SMS for eight years in different roles including global Head of Application Science. In this role, he was heavily involved in the development of novel characterisation methods for the challenges in the modern pharmaceutical industry with focus on inhalation and oral solid dosage forms. Frank joined the Inhalation Development Unit of Novartis Pharma (Basel, Switzerland) in July 2007 as Formulation Lab Head. From August 2009 until February 2011 he managed the inhalation & device development group at the Horsham site, UK. Upon his return to Basel he took on the responsibility for the local inhalation technology platform until February 2012. Subsequently he joined Novartis Pharmaceutical Operations where he is now the Lead for the manufacturing of new inhalation products. Dr Thielmann is member of the Steering Committee of the Material Science Focus Group in the British Academy of Pharmaceutical Sciences. He is an author and co-author of more than 25 articles in peer reviewed journals as well as author and co-author of more than 50 oral presentations at international conferences and seminars and over 80 scientific posters. Salvador Ordóñez (1972) is Full Professor of Chemical Engineering and Environmental Technology at the University of Oviedo (Spain) since 2012. He has got a PhD in Chemical Engineering in 1999 at the University of Oviedo, where he became Assistant Professor (1999-2006) and then Associate Professor (2006-2012). He was awarded the Young Research Award (< 40 years old) of the Iberoamerican Federation of Catalysis Societies (FISOCAT) in 2010 for his research trajectory. Likewise, in 2011 he was recognized as one of the most promising young Chemists in Spain by the Spanish Royal Society of Chemistry in the International Year of Chemistry. He is author or co-author of more than 140 scientific publications in international journals, four patents and several chapter books. This work has been presented in national and international conferences. He has also participated in research and technological assistance contracts with different companies. 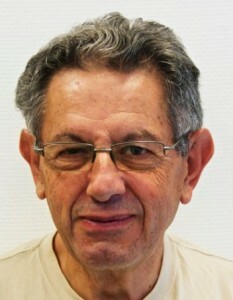 Prof. Ordóñez is also member of the Spanish Society of Catalysis and the Spanish Royal Chemistry Society, and is member of the scientific board of the Spanish Association of Zeolites (GEZ), as well as member of several scientific committees of different Congresses, and is the Editorial Board of several journals in the catalysis field. He joined the CNRS in Mulhouse in 1970, where he was working on the Photochemistry and Thermal and chemical degradation of macromolecules. After a one year post-doctoral stage in Darmstadt (Deustches Kunstsoff Institut), he joined the Research Centre of the Solid Surface Physical-chemistry (Prof. J.B Donnet) were he started the research on the characterisation of solid surfaces by inverse gas chromatography (IGC). He continued to deal with the topic focusing his studies on assessment of the solid surface energy and/or surface heterogeneity of some solids – silica, talc, clays, micas and carbon blacks. He collaborates also with Prof. J.B.Donnet on the evaluation of the adsorption properties of solids using inverse liquid chromatography (ILC). In 2000 he founded with Dr Eric Brendlé, the laboratory IGC lab, now named Adscientis. He strongly contributed to develop the application fields of the IC technology. He acts until now as scientific director of the firm. 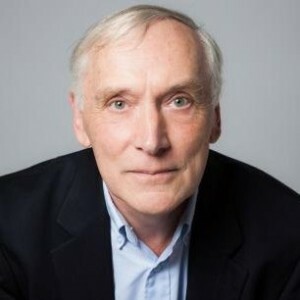 He is the author of 132 publications, published mainly in peer-reviewed reviews, including 13 contributions to some monographs, 71 of them are mainly devoted to IC science. He had presented also more than 150 communications and conferences at international congresses. He is co-author of 4 patents and had co-directed 30 PhD’s theses. Prof. Abbott has an Oxford/Harvard chemistry PhD and is an expert in the chemicals and coatings industries. He is now independent and his consulting style is to bring “live” scientific principles to address difficult formulation issues in adhesion, surfactants, packaging, cosmetics, organophotovoltaics and more. He is well-known for his AbbottApps where he attempts to give away as much of his knowledge as possible in the form of apps that package complex science into live tools that explain solubility, adhesion, surfactants, nanocoatings and much more. After his Organic Chemistry study at the Vrije Universiteit (Free University, Amsterdam) in 2001, Sander van Loon worked for 7 years on the Marine and Protective Coatings laboratory of PPG. 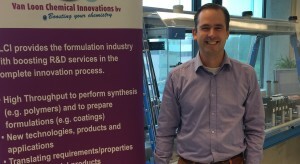 In November 2008 he founded the company VLCI, which provides R&D services to the formulation industry. VLCI combines formulation sciences in the field of coatings, beauty/personal care, household etc. with High Throughput screening, to improve and speed up formulation R&D projects. Beata Strzemiecka studied Chemical Technology on the Faculty of Chemical Technology at Poznan University of Technology, Poland in 1997-2002. After obtaining M. Sc. she pursued her education on Ph. D. studies on the Faculty of Chemical Technology, Institute of Chemical Technology and Engineering, Poznan University of Technology. The supervisor of her Ph. D. thesis was prof. Adam Voelkel. Her Ph.D. thesis was entitled „Physicochemical characteristic of raw materials and semi-products and the properties of the abrasive tools” and concerned the physicochemical characterization of the standard raw materials and partially semi-products mainly by IGC. She used with success the IGC technique to assess the quality of the raw materials and semi-products for abrasive articles production. She obtained Ph.D. in 2006. 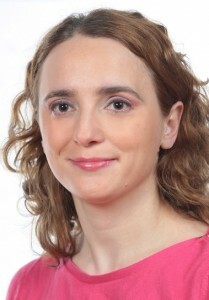 From 2006 till now she works in the Institute of Chemical Technology and Engineering at Poznan University of Technology in the research group of prof. Adam Voelkel. She is the author of 23 publications, two chapters in the books, several presentation on national and international conferences in which she showed usefulness of IGC technique in studies polymer composites, solids surface, polymers. In her papers she stresses practical applications of IGC technique. With prof. Adam Voelkel she is the author of some new procedures using IGC for studying abrasive articles, such as degree of hardening of resins, the coverage degree of the abrasive by resole, assessment of ageing of phenolic resins as well as estimation of adhesion in the abrasive-resin, filler-resin systems. Michael Rückriem studied Technical Chemistry at Martin-Luther University Halle-Wittenberg, Germany. He is still working on his Ph.D. thesis entitled “Inverse Gas Chromatography as a Tool for the Characterization of Porous Materials” under the supervision of Prof. Dirk Enke in Leipzig. Furthermore, he is working full-time for the company Porotec GmbH which offers a broad range of innovative scientific instruments for the characterization of particles and porous materials. He is an author and co-author of 5 articles in peer reviewed journals as well as author and co-author of more than 20 oral and poster presentations at international and national conferences and seminars.